Hey guys! 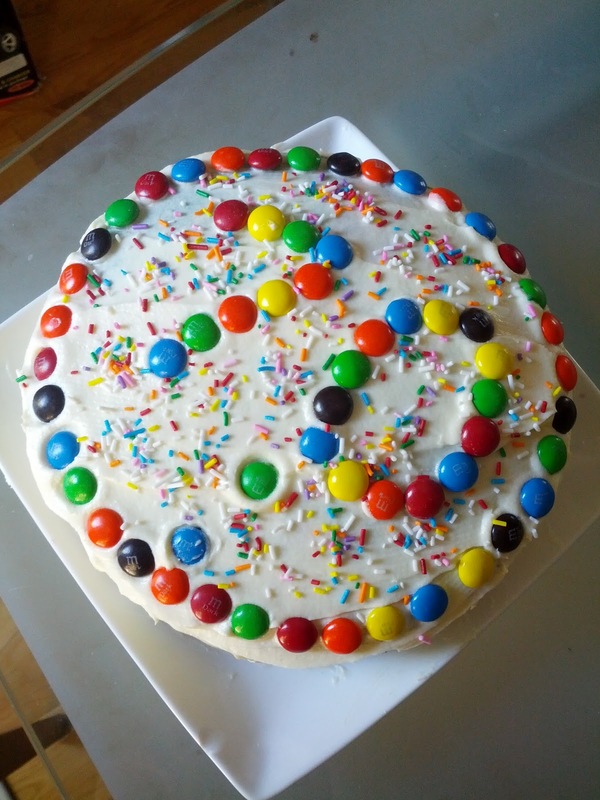 So today was my grandfather's birthday, and I decided to bake him a cake! 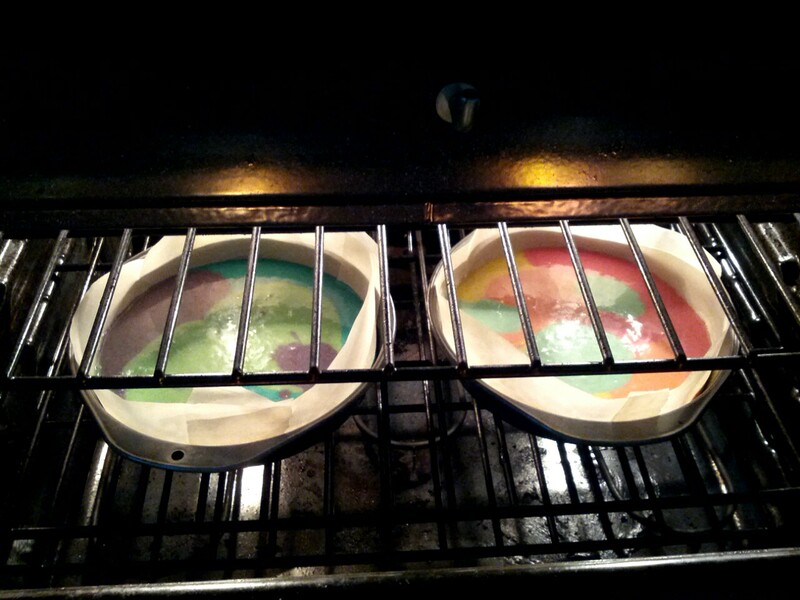 As you probably already guessed, it was a marble rainbow cake, which is definitely something I've never tried before, and greatly enjoyed. 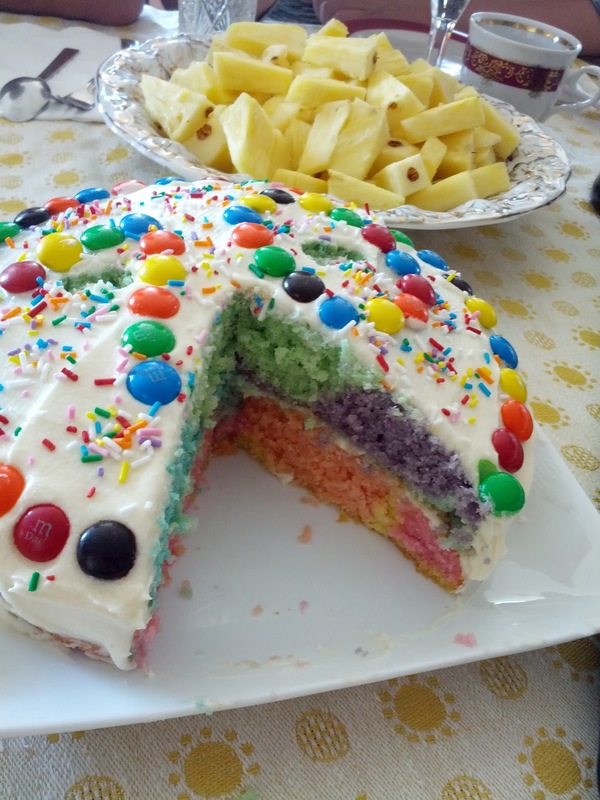 I'm not one of those girls who is really into cooking, so this had quite a lot of 'firsts' for me, but it turned out very well (especially considering that I changed up the frosting recipe a bit) and I'm even thinking about baking fun stuff like this more often! Beginning was like making any other cake, but after the batter was done, I separated it into seven bowls, and created seven different colours. If you're thinking of trying one of the numerous rainbow cake recipes yourself, I personally, would recommend making the dough just a tad brighter than you think it should be, so you'll have more contrast when it's done. 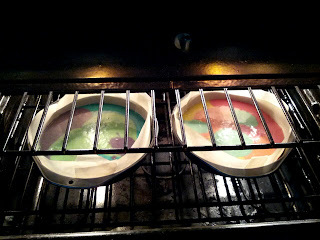 Going into the oven... I don't know, but it really reminded me of nail art at this stage for some peculiar reason... I guess it's just me! Decorations!!! 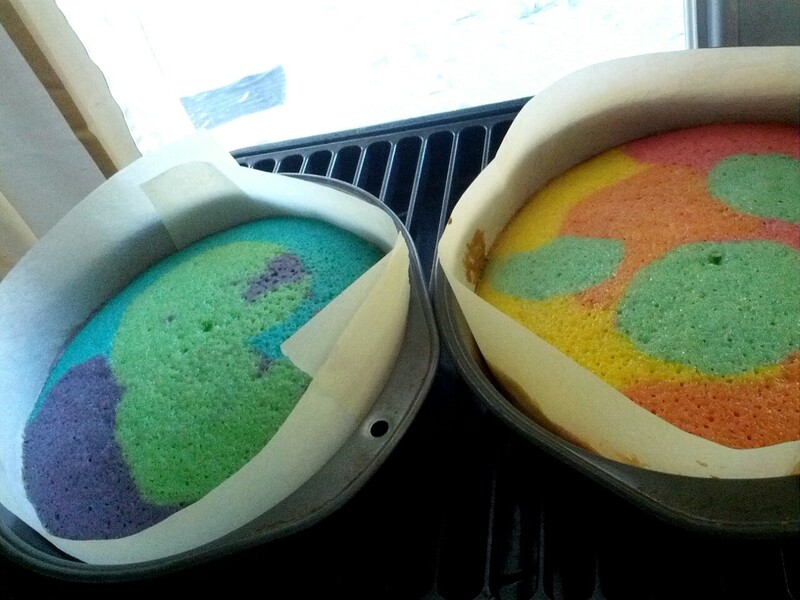 I know that they don't look as nice as I would have wanted... but it's the inside that counts, isn't it? Last but not least, my slice! In this case, the cake recipe itself had a lot of sugar, so I used cream cheese frosting, it was super easy to make, and it had a perfect combination of sweet and sour. 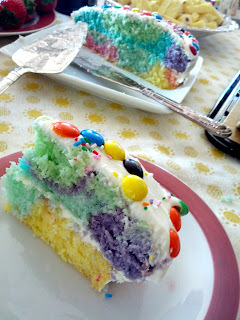 I highly recommend this cake to anyone out there who will read my blog, as it is fun to make, and delicious! Haha thanks! Yes it's a really fun recipe, you should try it for sure! I am literally drooling.... Wow they look, amazing. 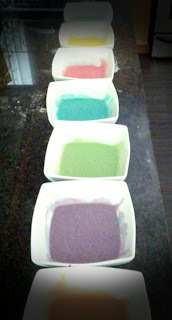 Haha you should try to make some! They are as delicious as they look! Thank you! I followed you! lovely cake :) would u like follow each other?